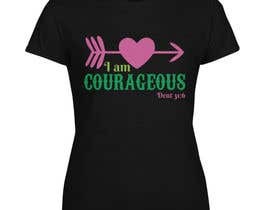 We are looking for a Tshirt design with the above message to be used on shirts for GIRLS - toddler girls and girls up to 12 years old. 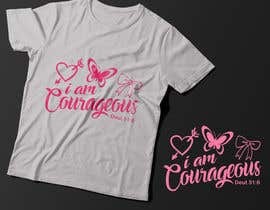 The idea is to create a design for a white shirt, but I will later ask the winning design to provide the same design in a different color palette to be used on shirts that are pink, lavender, mint, baby yellow (for girls). 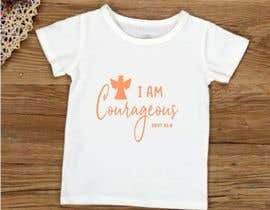 When designing, think about a FUN cute design your daughter or little sister or little girl cousin would want to wear. 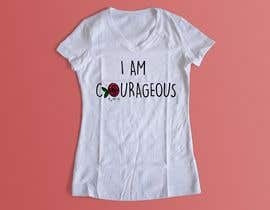 Think GIRLY. 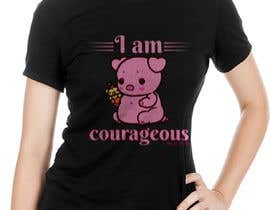 Glitter, Metallic, all things girls love - flowers, teddy bears, bows, hearts, princesses, etc. 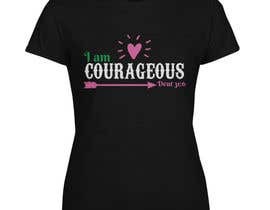 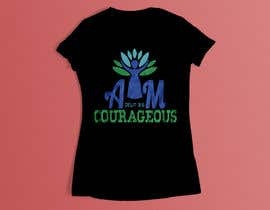 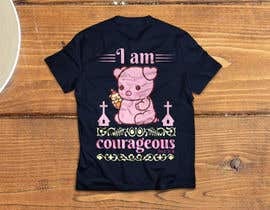 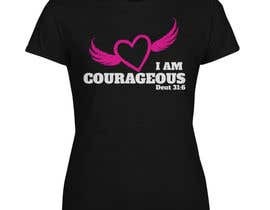 Any of these concepts or any concept you associate with LITTLE GIRLS can be incorporated into the design BUT KEEPING TO THE UNDERLYING THEME OF I AM COURAGEOUS. 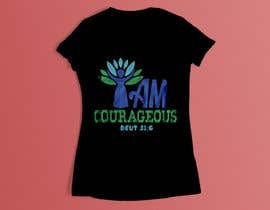 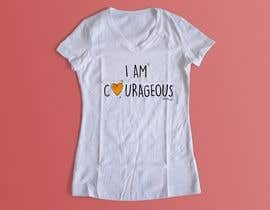 My idea is that the "I am a" be in smaller font, and the main message "Courageous" be in much larger font. 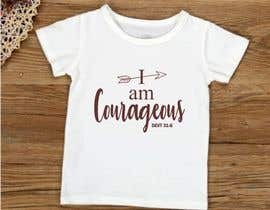 I would also like the Bible verse (Deut 31:6) to be included in the design, but in the bottom corner in a smaller font (either corner is fine). We are not certain whether we will have the t-shirts screen printed or printed direct to garment, so just come up with the cutest design you can. 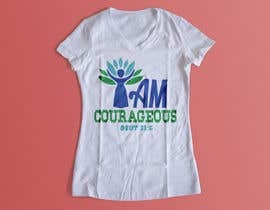 The winning design will be expected to assign all rights to the design to us and provide source files (.ai) and png and pdf/jpg in various font colors to use on tshirts of different colors.